This page is designed for the STUDIO based streaming station. This list is meant to be cost effective. We have collected this information over time. We present it here for the financially conscious Broadcaster. If you are setting up on a budget here are some great examples of equipment we have used. 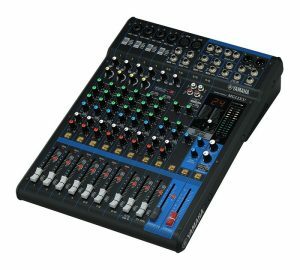 Behringer Xenyx Q802USB – Behringer’s only worthy low cost USB sound board. Behringer has problems with heat sinks. The other boards they make tend to overheat when used for over 4 hours. This product, the Xenyx Q802USB, is their only model that does not get too hot. We have used this version consistently for over 1 year with no trouble. Other Behringer USB mixers literally burned up. 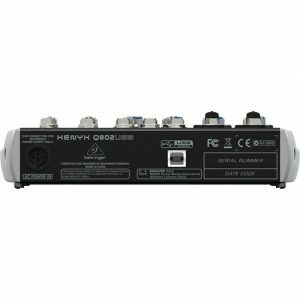 Make sure you use the Behringer power supply provided. Others will cause trouble. Yamaha MG12XU (USB) is an item we are proud to own. We use it on our live streams. It works well and is a tough unit that is properly cooled. We have run it continuously for 170 hours with no trouble. 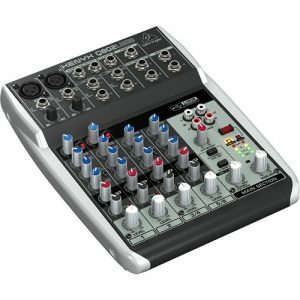 It is portable and easy to carry for live broadcasts. Yet it works nicely in the studio. The price is right! Set up is easy for the most part. Make sure to download the LATEST driver from Yamaha. 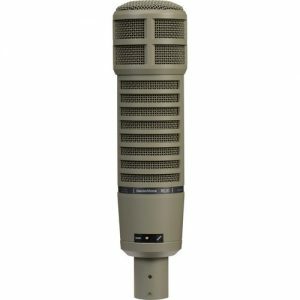 Audio-Technica makes the AT2020 an inexpensive Mic that provides great vocal sound. 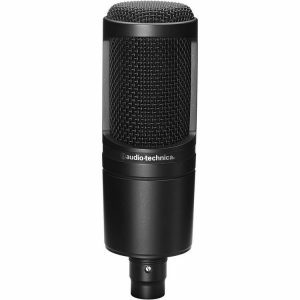 This Microphone is a cardioid and requires 48v ghost voltage. The above boards provide that voltage. The above model does “pick up” a lot of background noise. The ElectroVoice Broadcast Microphone. What can we say. This is the industry standard. Expect to pay about $500.00. This Mic is well worth it. The Broadcast series have excellent noise canceling ability. If you do not need to save money, spend what you have on these. This is the least expensive yet the best sounding method to connect a landline telephone to sound board and stream. We use this device for call in shows, interviews and contests. It works well with a multi-line switcher (not pictured here). 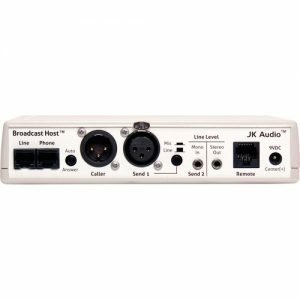 You must purchase a XLR (3-pin DIN) Male to 1/4 inch 3 conductor (balanced) Male cable as well as a XLR (3-pin DIN) Female to 1/4 inch 3 conductor (balanced) Male cable in order to connect to a board. It is possible to see here how the above device connects. The JK runs through the effects send channel. This makes it possible to monitor the phone call and converse with the caller as if the board is a phone. It will be necessary to purchase a telephone. A phone with hold is a good idea. Phone Flasher. You also may want to purchase one of these. This will signal when the phone is ringing without sound. It is then possible to mute the ringer on your ‘studio’ telephone and be notified when it rings. Make sure to get the version that does not have a high pitched tone, that will defeat the purpose of this device. It is possible to find the above device on EBay. Monetize your Website Using AdNet Cookie Based Banner Ads Through SecureNetSystems. Click on the banner at the bottom of the page.